PrecisionHawk, a manufacturer of UAVs and cloud-based software to collect, manage and analyze aerial data across civilian applications, today announced that they will join the NASA collaboration to build a traffic management system for drones. In January, PrecisionHawk launched the working prototype for a ‘Low Altitude Tracking and Avoidance System’, otherwise known as LATAS, to serve as a solution for the safe integration of drones into the National Airspace. By bringing this operational tracking system to the conversation, PrecisionHawk will have the ability to outfit every UAV platform, commercial or hobbyist, with the technology to send real time flight data transmission based on world-wide cellular networks. PrecisionHawk, NASA and their other partners will work together to test, on a broader scale, a wide range of UAVs in real-world scenarios. 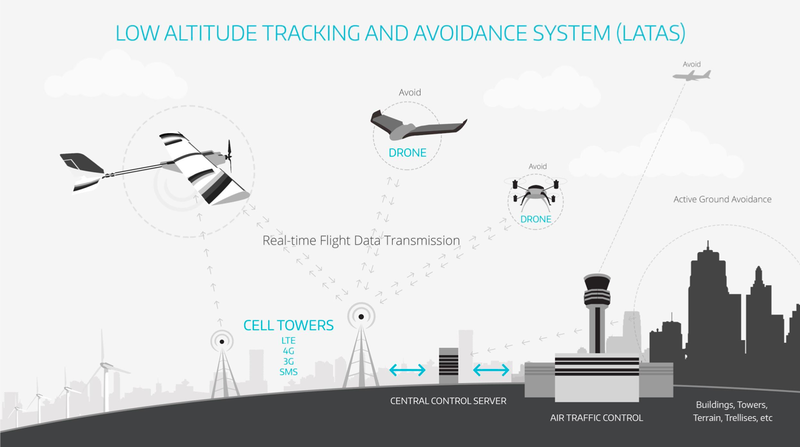 As NASA continues to develop a workable UTM, LATAS will have the potential to serve as the hardware addition for each drone attached to that overarching system. LATAS is small (3x2x1in), light (100G) and operational on networks speeds as low as 2G.